Pokemon Go Trainer Battles went live this evening, first rolling out to level 40 players. Niantic then rapidly dropped the level requirement until everyone had access to the new feature. There might be a few out there who can still not battle, but that will be attached to their low-level status. “Attention: Level 10 will be the lowest level of Trainers that can access this feature," Niantic confirms. So for everyone else this evening, Pokemon Go PvP is now live and available to play with your friends. While the system is pretty open, Niantic has placed a few rules on how to Battle in Pokemon Go. The first thing to know is that you need to be level 10 or higher, after which the new feature becomes available on iOS and Android. And when it comes to starting a Battle in Pokemon Go, Trainers have a few options. You can either challenge your best friends via the friends tab, or you can challenge nearby Trainers using Battle Codes. If your opponent is not an Ultra Friend or Best Friend, you can still fight but will need to will need to be in close proximity to start a battle using your Battle Code. To access the new Pokemon Go Battle Screen, head down to the bottom right on the map screen and select the “Nearby” Tab. A new Battle Tab has been added alongside the usual Raid options, and this is where you can select to use a Battle Code. The Battle Code appears next to your Trainer avatar. When another Trainer scans your Battle Code, you will be sent a Battle Challenge. To send a Battle Challenge, tap on the CHALLENGE A TRAINER button to scan an opponent’s Battle Code. Alternatively, Trainers can also Battle the Pokemon Go Team Leaders instead, although that’s a different mode and comes with its own rewards. Battle Codes cannot be used twice and will generate new ones every time you start Pokemon Go. To send a Battle Challenge to an Ultra or Best friend, you need to access Map View, navigate to your Trainer Profile and tap the Friends tab at the top of the screen to open your Friends List. You can then select a Friend that you wish to challenge and then Tap the new Battle icon. If your friendship is high enough, you will then be able to tap on LET’S BATTLE! to send the Challenge. Great League: The maximum CP per Pokémon you can bring cannot exceed 1,500 CP.Ultra League: Trainers will unlock this League when they own at least 3 Pokémon whose CP values are above 1,500 CP. The maximum CP per Pokémon you can bring cannot exceed 2,500 CP.Master League: Trainers will unlock this League when they own at least 3 Pokémon whose CP values are above 2,500 CP. This League has no maximum CP limit. You can only select three Pokémon for your battle party and will start with Pokémon automatically recommended based on their Combat Power (CP). 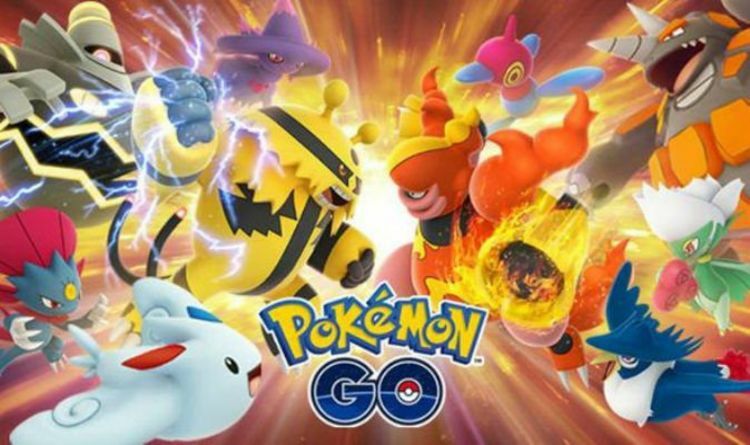 The Battle will follow a similar pattern to Raids, you will do quick attack until you have charged your special attack and then you will need to tap some more when it is charging. The main difference is that you will be able to use a protective shield twice during the match. If you choose to defend during that round to soften the blow of an incoming attack, tap the screen during this sequence to fortify your Pokémon and build the shield. The good news is that both players will earn rewards for participating in the battle, but only the winning Trainer will get to level up one of three medals: Great League Veteran, Ultra League Veteran, or Master League Veteran. A rematch is offered at the end of each match and players can battle as often as they like, but will only receive rewards for up to three battles per day. Pokemon Go Trainer Battles and PvP modes are now live and can be played on Android and iOS.